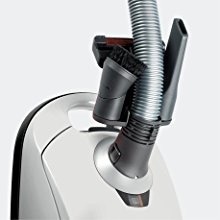 With its sleek white exterior, this vacuum has enough style to blend right into your living room décor, but it also packs enough power to leave your floors sparkling clean time after time. 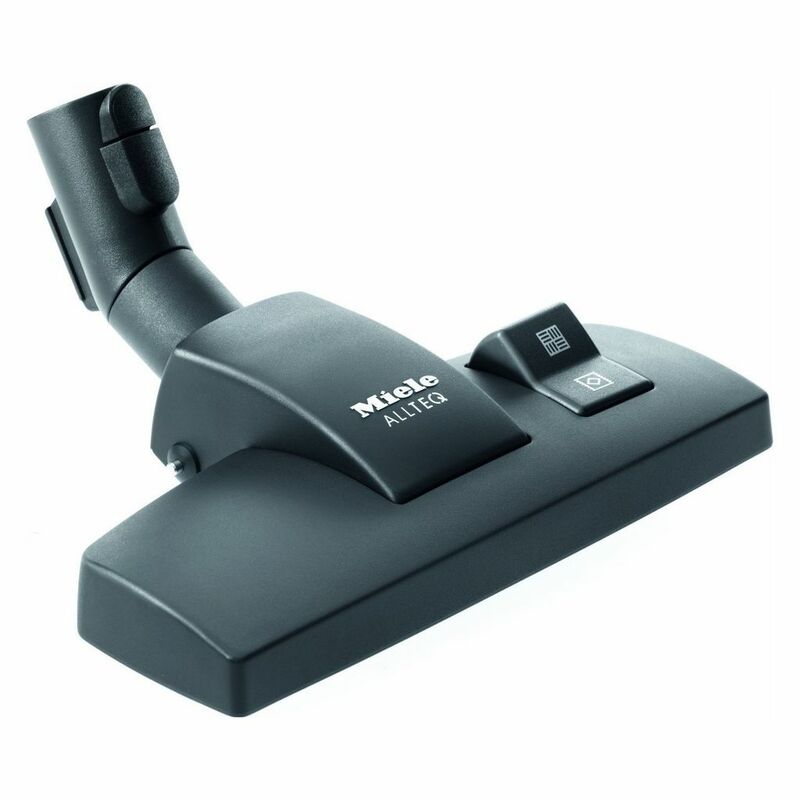 Lightweight and compact, the Miele Compact C1 Pure Suction Vacuum is easy to use and effortless to maneuver across low-pile carpets, rugs, and smooth floors. 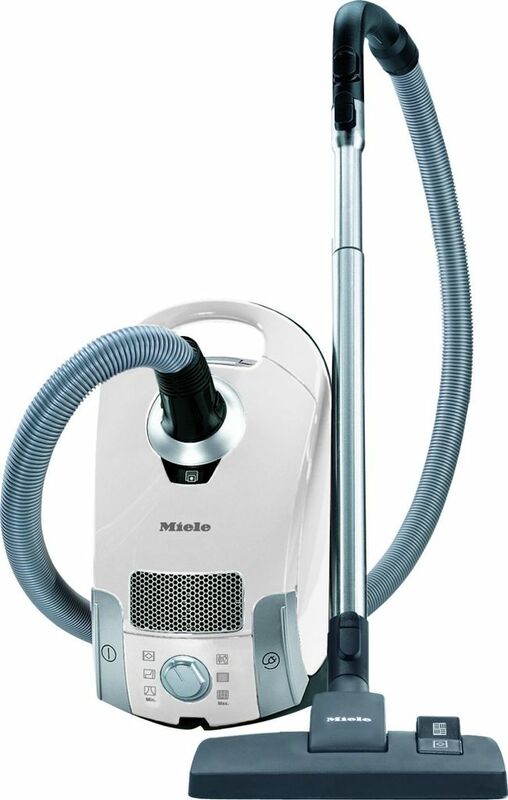 With a 29.5-foot cleaning reach, a flexible vacuum hose, and 360-degree pivoting casters, the Miele Pure Suction Vacuum helps you achieve a thorough clean quickly and effectively. 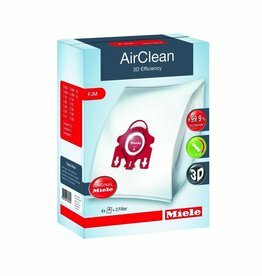 AirClean 3D Efficiency Dustbag - Not just a dustbag, the 3D Efficiency is actually a filter itself, trapping 99.9% of all dust particles. 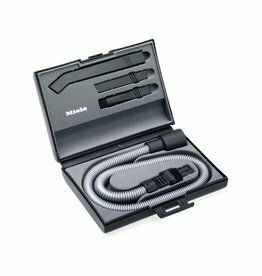 Using self-locking technology, this electrostatically charged dust bag creates an automatic seal, helping you quickly dispose of dirt, dust, and debris without leaks. 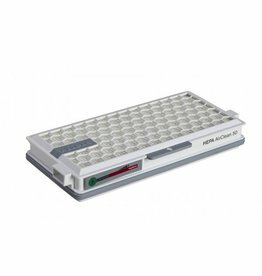 Air Clean Vacuum Filter - This 3-layer filter traps 99.95% of airborne contaminants as small as 0.5 microns and 94% of invisible particles as small as 0.3 microns. 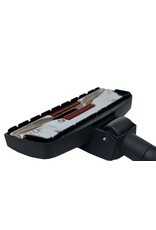 Motor Protection Filter - Protects the vacuum motor from collecting dirt and dust for efficient operation. 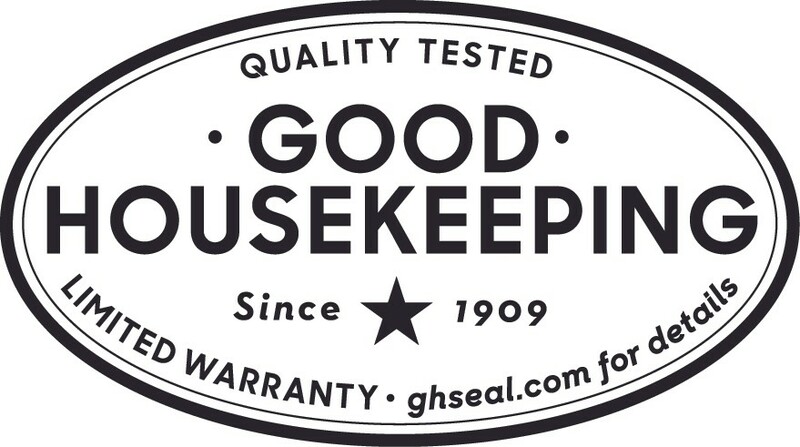 The Miele Compact C1 Pure Suction Canister Vacuum has earned the Good Housekeeping Seal having been rigorously tested and verified for integrity and performance by the Good Housekeeping Institute. 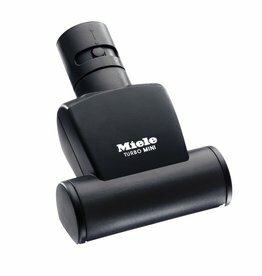 This seal lets you know that the Pure Suction carries a 2 year warranty backed by the GHI in addition to its Miele warranty. 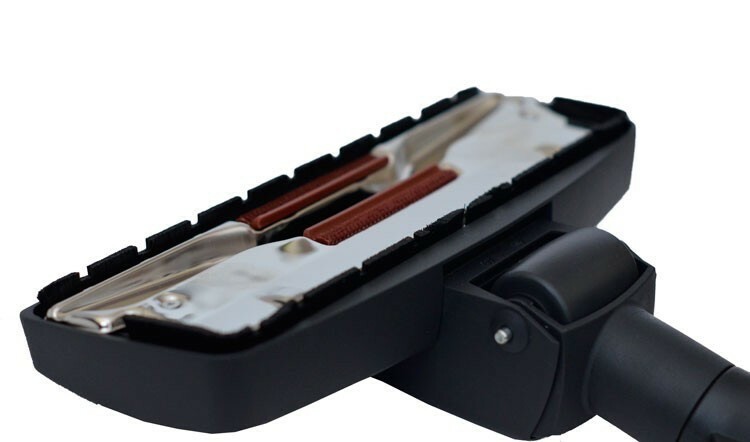 Combination Floor Tool – Featuring an extendable/retractable bristle strip and wide metal soleplate, glide smoothly over surfaces and transition easily from low-pile carpets to bare flooring. Rubberized wheels protect floors while a thread catcher picks up even pet hair. 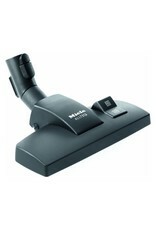 The dual swivel joint makes this vacuum highly maneuverable so cleaning is a breeze. Quiet Operation: At the heart of this vacuum is a 1,200-watt PowerLine Motor system. 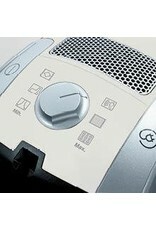 The tight seal plus perfect airflow ensure strong suction for perfect cleaning even at the lowest power setting. 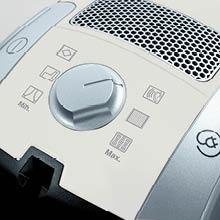 And while powerful, this motor features silence insulation for maximum performance with minimal sound plus a gradual power ramp-up to prevent overheating. Telescopic Extension Wand: With 18 adjustable height settings, the lightweight stainless steel wand provides easy cleaning in hard-to-reach places throughout your home. 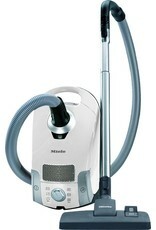 Automatic Cord Rewind: Great for compact and tidy storage, this Miele canister vacuum features a one-touch automatic cord rewind button that immediately draws the power cord back into the unit with one swift tap of the toe. 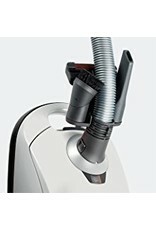 Change Indicator: The airflow indicator, conveniently located on the front panel of the vacuum, will change from clear to orange when it is time to replace the dustbag.